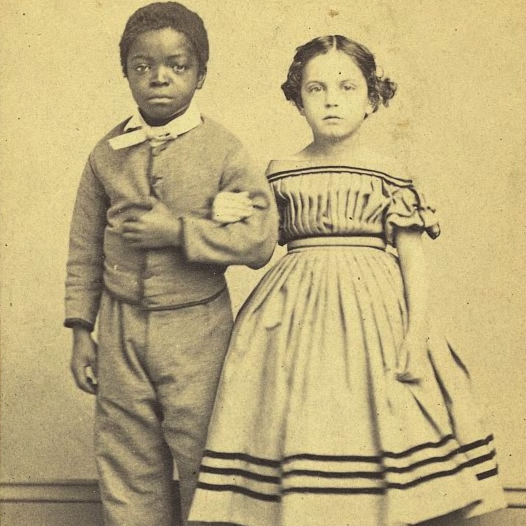 M. H. Kimball portrait of Isaac White and Rosina Downs, two New Orleans slave children, c. 1863. (Library of Congress). Historian Carol Wilson tells the story of a New Orleans slave named Sally Miller, who sued for her freedom after a German woman became convinced that Sally was really a long-lost German girl named Salomé Müller. Historian Martha Sandweiss explains how the one-drop rule enabled a blue-eyed, blonde-haired geologist named Clarence King to lead a second life as a Black Pullman porter, without ever drawing suspicion. Historian Annette Gordon-Reed illustrates the fluidity of race with the stories of two sons of Thomas Jefferson and his slave Sally Hemings, one of whom passed into white society while the other lived his life as an African-American. Sociologist Eva Garroutte tells the story of Sylvester Long, a multiracial man who rose to silent film stardom in the 1920s after adopting the persona of an “authentic” Native American—until it all came crashing down. Brian Balogh talks with historian Allyson Hobbs about an enormous but overlooked cost of racial passing: leaving one’s family, community, and heritage behind. Listener Vasanth Subramanian wishes society allowed him to choose his identity. He talks in detail about the prejudices children of immigrants face. The Guys explain how American slavery practices created racial boundaries, and, at the same time, complicated them. Producer Nina Earnest explores the boundary between passing and performance with the story of John Roland Redd, an African-American organist who donned a bejeweled turban and rewrote his life story to become “Godfather of Exotica” Korla Pandit. Listen to the podcast (01:05:14) here. Download the podcast here. 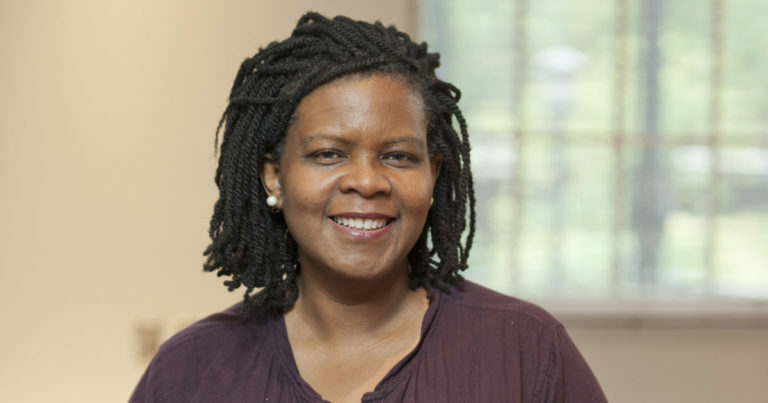 Annette Gordon-Reed’s much-lauded book (it has won the Pulitzer Prize and the National Book Award, and was a national best seller) is an ambitious attempt to re-create the lives of several generations of one slave family in the American South. 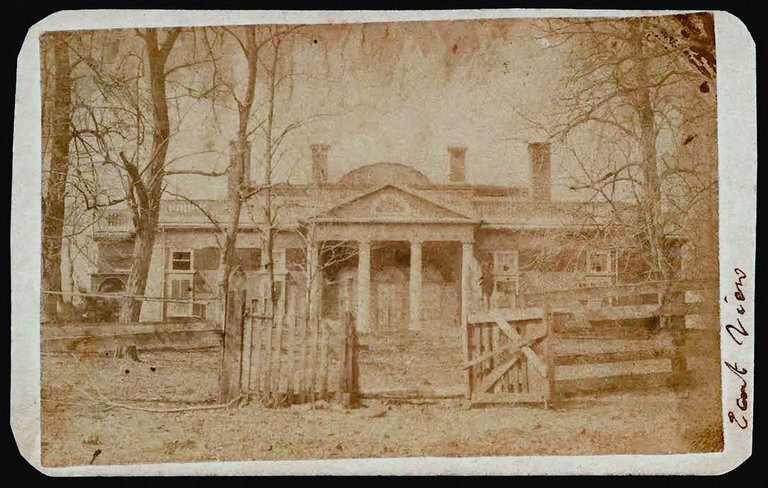 Gordon-Reed traces this family from one of their original African ancestors, who arrived in Virginia during the colonial era, through the antebellum decades. This is not just any extended enslaved family, however. 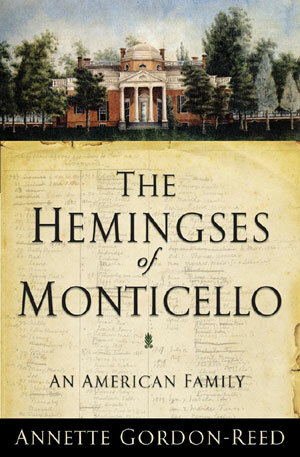 Her black and mixed-race subjects are the Hemingses—the founding father Thomas Jefferson’s slaves and family, by marriage and blood. Our reading this morning comes from the jacket (show) previews of Clarence E. Walker’s 2009 University of Virginia press, MONGREL NATION, The America Begotten by Thomas Jefferson and Sally Hemings. The term “mongrel” is usually used as a derogatory term for “Mixed Race” . The first quote is from Annette Gordon-Reed, New York Law School and author of THE HEMINGSES OF MONTICELLO: An American Family. America has indeed been a mongrel nation, not just in terms of blood, but in terms of culture and politics, from the very beginning. Walker very rightly challenges the assumption that the Jefferson-Hemings liaison was either unusual or exceptional. Secondly, from the author himself, Clarence E. Walker, Professor of History at the University of California, Davis and also the author of WE CAN’T GO HOME AGAIN: An Argument about Afrocentrism. 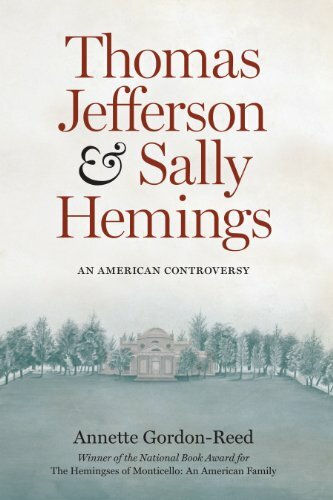 The debate over the affair between Thomas Jefferson and Sally Hemings rarely rises above the question, “Did they or didn’t they?” But lost in the argument over the existence of such a relationship are equally urgent questions about a history that is more complex, both sexually and culturally, than most of us realize. (T)he relationship between Jefferson and Hemings must be seen not in isolation but in the broader context of interracial affairs within the plantation complex. Viewed from this perspective, the relationship ..was fairly typical. For many, this is a disturbing realization because it forces us to abandon the idea of American exceptionalism and reexamine slavery in America as part of a long, global history of slaveholders frequently crossing the color line. More than many other societies—and despite our obvious mixed-race population—our nation has displayed particular reluctance to acknowledge this dynamic….From Jefferson’s time to our own, the general public denied—or remained oblivious to—the possibility of the affair. Historians, too, dismissed the idea, even when confronted with compelling arguments by fellow scholars. It took the DNA finds of 1998 to persuade many (although to this day, doubters remain). This sermon is not meant to be a history lesson. Nor is it meant to be a summary of the contents of MONGREL NATION. Most historians now believe that his relationship with Hemings probably endured for many years, if not from 1787, when Hemings, then 13 or 14, arrived in Paris as a “nurse” to Jefferson’s daughter. Another reason Jefferson may have been able to reconcile his relationship with Hemings with his opposition to miscegenation, Ms. Gordon-Reed points out in her book, was that Hemings was his wife’s half sister, the daughter of John Wayles and his slave consort. Jefferson had been devastated by his wife’s death, and he had promised her he would never remarry. Perhaps Hemings, who was known to be beautiful, bore some of his wife’s characteristics.